While the Constitution of India has to be engaged with and interpreted as an indivisible whole, there are some parts of the Constitution that are clearly in tension with others. One such example is the tension between the power of the State Government to tax and raise revenues on the one hand, and the constitutional directive to ensure free movement of trade and commerce within the territory of India, protected under Part XIII of the Constitution, on the other. Intuitively, it is easy to see that prohibitively high entry taxes on goods within individual States will have the effect of hampering their free movement; constitutionally, however, the position is far more complex. This issue has received much judicial attention over the last six decades or so, starting with the judgment of the Supreme Court in Atiabari Tea Company v State of Assam, where an Assam law taxing carriage of goods into Assam was struck down as being in violation of Article 301 of the Constitution, and not saved by Article 304. The correctness of the analysis in Atiabari has been doubted in the last couple of decades or so, and thus the Supreme Court is all set to re-examine the issue in the context of Article 301 and 304. In this piece I will briefly analyse the judgments delivered in Atiabari and Automobile Transport v State of Rajasthan which “clarified” Atiabari and lay out what is really at stake in the re-examination of these judgments to see if there is really a need to revisit precedents which have been standing for more than fifty years now. The judgment in Atiabari was not unanimous ­— a rare instance when the then Chief Justice of India, Justice BP Sinha found himself in the minority. The key point of difference between the majority (Justice Gajendragadkar on behalf of himself, Wanchoo and Das Gupta JJ, and a separate judgment by Justice JC Shah) and the minority judgment is whether tax laws simpliciter are within the scope of Part XIII of the Constitution. The majority judgment concludes that they are, and therefore must be reviewed under the scheme of Part XIII whereas the minority judgment concludes that they are not but they theoretically amount to a barrier to trade and commerce. Justice Shah’s concurring opinion is largely along the same lines as the majority opinion on the question of the restraint on the taxing powers of the State placed by Part XIII of the Constitution. The distinction between these positions, when it comes down to it, is really, really narrow. The majority concludes that taxes do affect freedom of trade and commerce, but the test for striking them down will be whether they have a “direct or immediate” effect of restriction on the freedom of trade and commerce. The minority judgment on the other hand, states that taxes simpliciter do not affect freedom of trade and commerce, but a tax may amount to a barrier to trade and commerce. In effect, the distinction really lies in how the two sides approach the question semantically, though in pragmatic terms it is hard to imagine a situation where a tax which amounts to a barrier to trade and commerce will not “directly and immediately” restrict the same and vice versa. It is more accurate to state that the views of the judges (even though they seem to state otherwise) differed on the validity of the Assam law in question and its effect on freedom of trade and commerce in Assam, rather than a matter of constitutional principle on the nature of the relation between legislative powers of the State and Part XIII of the Constitution. Reading all the three opinions, there is seemingly common consensus that taxes are under the purview of Part XIII. Yet, the court may have decided the question placed before it without necessarily addressing the tension placed before it – how to harmonise the State’s taxing powers with the need to have a common market across India. The test laid down in Atiabari re-states the manner in which this conflict will be framed by the Court in deciding cases relating to taxes affecting the freedom of trade and commerce guaranteed under Part XIII of the Constitution. 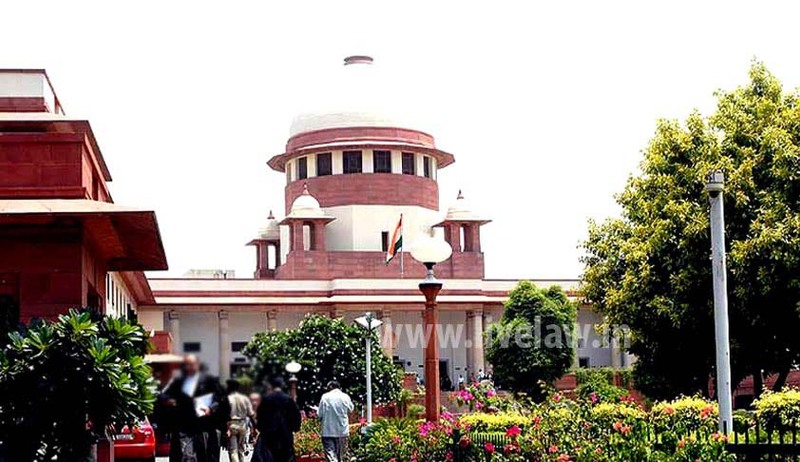 In Automobile Transport v State of Rajasthan, a seven judge bench of the Supreme Court had the opportunity to go into the questions decided in Atiabarionce again. Here the imposition of a tax on bus service providers by the State of Rajasthan was questioned and the law imposing the tax upheld, prior to the judgment of the Court in Atiabari. Once again, it was a split verdict with three separate opinions being delivered. While upholding the correctness of the judgment in Atiabari, the majority judgment (delivered by Justice SK Das also on behalf of Kapur, Sarkar, Ayyangar and Mudholkar JJ) classifies the views expressed in a spectrum with Justice Shah’s view being the “widest view” which states that Part XIII imposes a limitation on the taxing power of States and CJI Sinha’s views as the “narrowest”. While rejecting the “narrowest” and the “widest” view, the majority view takes the so-called middle view espoused by the majority in Atiabari, with one clarification relating to “compensatory taxes” being outside the purview of Part XIII of the Constitution. Justice Subba Rao’s concurring opinion contains no reference to a “compensatory tax” instead deeming regulations and laws (including possibly taxes and cesses) that are necessary to improve free trade as being outside the purview of Part XIII. Justice Hidayatullah who delivered the minority judgment agrees with the majority that the view in Atiabari is correct and that a regulatory or compensatory tax would be out of the purview of Part XIII, but differs on the facts on whether the law in question is unconstitutional. Automobile Transport is not without its problems. The differences between the three views in Atiabari has, in my view, been artificially enlarged in the majority opinion. More problematic though is the concept of a “compensatory tax” — an oxymoron given that a tax by definition does not involve quid pro quo. This only complicates matters further. Atiabari’s test, while not being comprehensive in addressing all aspects of the tension between States’ taxing power and Part XIII, did at least lay down a clear standard to some extent. The “clarification” only muddles things up further. The confusion can be seen in the multiple judgements it took to understand what is “compensatory” about these “taxes”, culminating in the Constitution Bench judgment in Jindal Stainless Ltd v. State of Haryana, which laid down the test of “working proportionality” in determining the “compensatory” nature of a tax. Whether Article 304(a) and Article 304(b) deal with different subjects? Whether the impugned taxation law to be valid under Article 304(a) must also fulfil the conditions mentioned in Article 304(b), including Presidential assent? Whether the word “restrictions” in Article 302 and in Article 304(b) includes tax laws? Whether validity of a law impugned as violative of Article 301 should be judged only in the light of the test of non-discrimination? Does Article 303 circumscribe Article 301? Whether “internal goods” would come under Article 304(b) and “external goods” under Article 304(a)? Atiabari case should or should not be rejected? Whether tax simpliciter constitutes a restriction under Part XIII of the Constitution? Whether the word “restriction” in Article 304(b) includes tax laws? Whether the “working test” laid down inAtiabarimakes a tax law per se violative of Article 301? Interrelationship between Article 19(1)(g) and Article 301 of the Constitution? In context of the entry tax, the question boils down to this: would a tax on the entry of goods into a territory, that is more than an “equalizing levy”, automatically be deemed to be a restriction on the free movement of trade and commerce? Perhaps the answer lies somewhere beyond the pure interpretation of legal text and requires the court to take into account the actual economic and fiscal impact of entry taxes. There is nothing per se wrong with the fairly pragmatic test that the Supreme Court laid down in Atiabari, but there is definitely a need to take it forward and address the various aspects outlined in the above questions. A purely legalistic answer that doesn’t allow for any room to assess the real-world impact of a tax would make most of this exercise futile and fail to advance the jurisprudence on the issue. A hint of this approach was provided by Justice Arijit Pasayat in the context of a “compensatory tax” question in Jindal Stainless Ltd (3) v State of Haryana, where the case was remanded to the High Court to expressly take on record material particulars on the compensatory nature of the levy. By itself, the issue of the entry tax may not matter much in the larger scheme of things beyond the assessees and the State Governments in question. However, the issue of balancing the State’s power to levy taxes and free trade throughout India is one that is still alive and very much part of the ongoing debate regarding the GST. If the current acrimony between political parties and States is any indication, it is highly likely that that the Constitutional amendments and the laws implementing the GST are going to face challenge before the Supreme Court. The principles laid down by the nine judge Bench in answering the 12 questions will no doubt be crucial in assessing the constitutionality of the GST as well. This post is first published in https://indconlawphil.wordpress.com/ , A Blog maintained by Lawyer and writer Gautam Bhatia.